Our records show you may have purchased or received a Painted Cottage Step Stool, sold by L.L.Bean under Product ID 281655/Stock#0MLM1. In cooperation with the US Consumer Product Safety Commission L.L.Bean is recalling the stools manufactured and sold from December 2012 � June 30, 2013. L.L.Bean has learned that the stools may tip or slide when in use causing a fall hazard. Please stop using your stool immediately. Click here for return instructions, call 800-555-9717, or email us at LLBean@llbean.com so we may send you return instructions and materials. 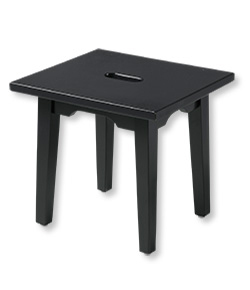 Please disassemble the stool using a hex key the size that was provided with your purchase and discard all parts except one leg. Upon receipt, L.L.Bean will issue a refund or gift card as designated on the return form.